Japanese cuisine has many interesting surprises and natto is one of them. It is mainly a fermented soybeans recipe which is most popular in Japan and now It is making ways to other places around the world. Ever since I came to know about the endless health benefits of soybeans and the impact of the fermented meal on our gut biome, I started using natto on routine basis. Thankfully it suits well to a number of other Japanese dishes, In fact, it adds more taste to it. the stringy and slimy texture of natto is its characteristic feature along with its recognizable pungent smell. 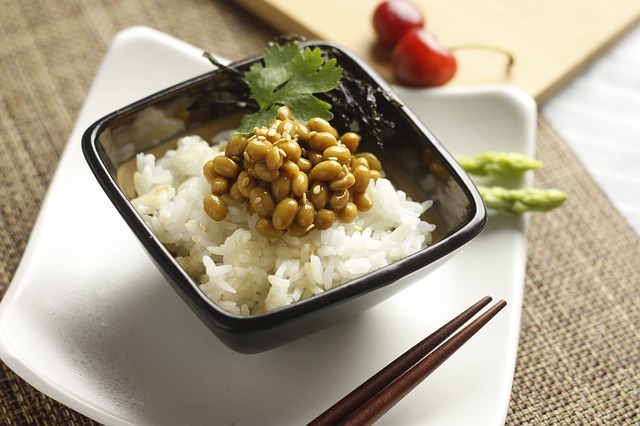 In Japanese culture, natto is directly served with mustard, chives, soy sauce or other seasonings on top. Boiled warm rice is served along with it. I have actually tried in Japanese style in an open restaurant. But I will be sharing a complete homemade natto recipe today so that you can too enjoy the taste of it without traveling for miles. In the traditional Japanese culture, natto is made by boiling soybeans, and then they are wrapped in rice straw. These straws naturally contain bacteria named Bacillus subtilis which allows fermentation of soybeans. This method of fermentation is now made easy by readily available natto packets which contain a powder having a bacterium for fermentation. It saves you from all the mess of using rice straws. And it’s not easy to find rice straws in the city. Anyhow, when the bacteria act on the soybeans, it uses the sugars of the beans for fermentation, and sticky and slimy natto beans are produced as a result. Since the sugar is processed by the bacteria, the natto is rendered healthier and low on carb. Back in the early 20th century, when scientist separates the bacteria used for fermentation of the soybeans, more of the modernized method of making natto came forth. The one I am sharing today is one among them, and it’s too easy and quick. Yet still today, soybeans are fermented using the rice straw. Both the rice straw and soybeans are placed in Styrofoam boxes. They are packed to start the fermentation process. 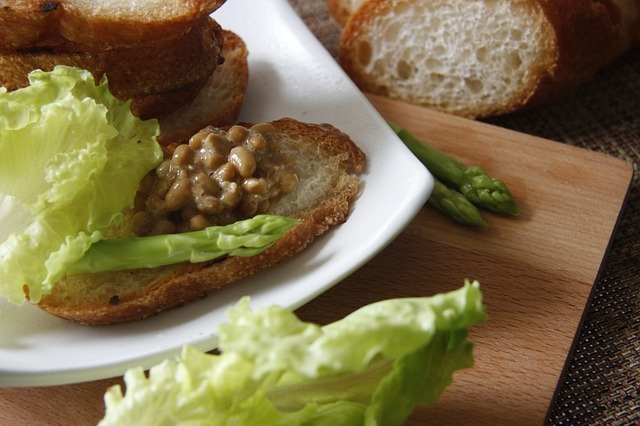 Natto – How Much Do You Know About It? To call it Japan’s most enjoyed breakfast food, is not enough. It is a staple of Japanese cuisine. It is served in a variety of ways and with a number of other dishes. natto is basically a fermented mix of soybeans. In Japan, I have tried it with the onion, soy sauce, and karashi mustard and it tasted heavenly. Due to fermentation, the soybeans get a distinct smell, a slimy texture, and quite a strong flavor. Natto is most popular in the eastern regions of Japan, especially Hokkaido, Kanto, and Tohoku. Natto served at these places has its own originality and prominent taste. Yet you can too acquire the same taste at home with a bit of time and efforts. Since I am always interested in finding interesting facts about the different recipe, I share with you all. So, I went through the same drill to find about the origin of natto. How come fermentation of soybeans came to the mind of people when you can already enjoy soybeans in a variety of other ways. There is a number of myths and stories about the origin of the natto. One popular theory is that back in 1088AD when Minamoto no Yoshie, who was in Northeastern Japan on a campaign, while they were boiling soybeans for their horses they were attacked. So, they packed up those beans with straws in the bag. Those bags were left untouched for a few days, and when they opened those bags, they had nothing to eat but these fermented soybeans. To their surprise, these soybeans tasted amazing, and Yoshie liked the taste of it. Since natto became popular in Japan. And today it is served in a number of food chains and restaurants. 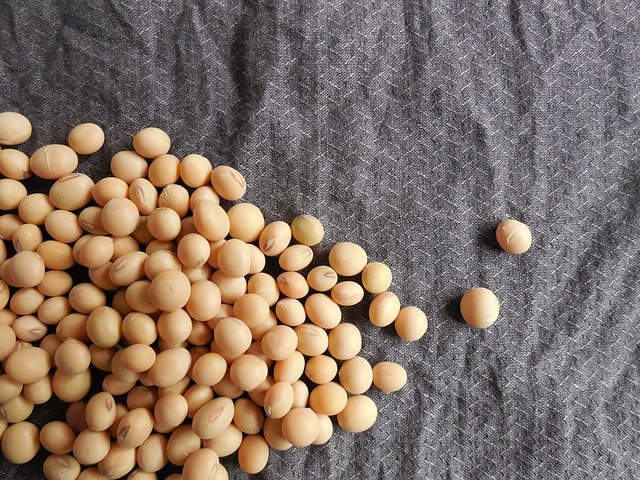 For quite some time, the same method to ferment the soybeans were used, but in the early 1900s, researchers found another way to make natto using a bacterial starter culture. This discovery made the use of straws obsolete and allowed the commercial production of natto easier. The results became more consistent. The availability of this culture gave us a fixed and easy recipe. The natto produced with this procedure has a distinct pungent cheese-like the smell. When you stir ever time, it gives long sticky strings. Here comes the natto soybeans recipe. all you need is soybeans and natto culture to ferment the beans. Along with these ingredients, you need to find clean jars to store natto. Make sure to sterilize everything to avoid contamination of the beans, else the fermentation will not result in same taste and texture. Thoroughly wash the soybeans and soak them in water for 12 hours. this soaking time is for warm weather. Let it soak for a longer duration. Use about 3 parts water against 1 part of soybeans. It will allow the soybeans to fully expand. This will give about 12 cups of beans. Drain the soaked beans and keep them large pot then fill it with water. 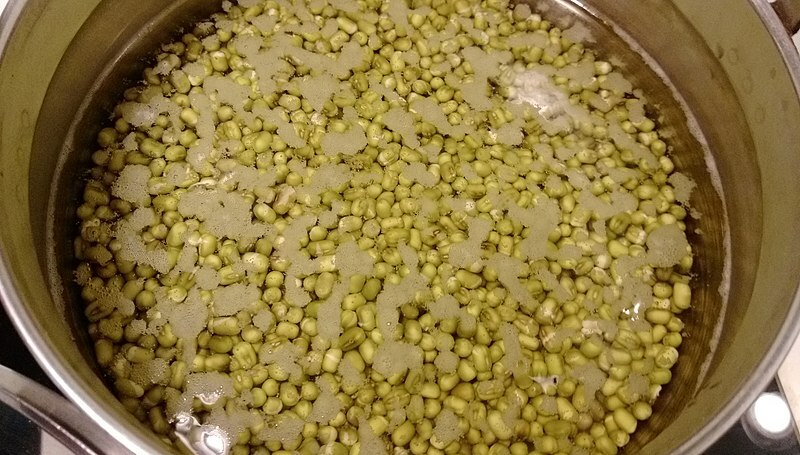 Boil the water for 9 hours to cook the soybeans. Drain them and set them aside in a pot. Mix 2 teaspoons sterilized water with natto spores in a bowl. Pour this mixture over the warmly cooked beans and stir well to mix the beans with the natto, using a sterilized spoon only. Take 4 sterilized and clean containers. Fill them with a layer of beans. Do not add the spilled beans if there are any. Cover the containers with cheesecloth then seal the jars with a tight lid. Now, preheat your dehydrator to 100 degrees F or your oven at the lowest temperature. Place the soybeans in the dehydrator or the oven for 24 hours at this temperature. This is the fermentation period for soybeans. After the completion of the fermentation, let the natto cool for several hours then remove both the lid and cheesecloth from the top and just place the lid over the containers. Refrigerate the natto overnight then start using it from the next morning. It is best to serve with Japanese inspired breakfast. It can be preserved for 3 to 4 days in the refrigerator. In different parts of Japan, natto is served differently. At some place, it is served and packed inside the sushi whereas at other people like to enjoy natto toast or stuff their sandwiches with natto. There are special miso soups which are enjoyed with fermented natto on top. Serving natto with boiled spaghetti or pasta is another culinary norm in Japan. Other ways to enjoy the good taste of natto is by mixing it in a salad or tamagoyaki. 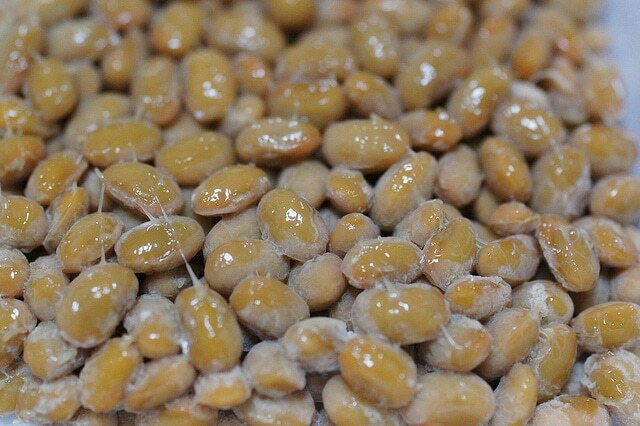 At time soybeans are first crushed and then fermented, that is called hikiwari natto. These were all the Japanese style meals which make good use of natto. Let me tell you how to incorporate it into some of the non-Japanese ways. I personally enjoy it with rice, whether plain boiled rice, mixed vegetable rice or rice risotto. Use it to stuff a tortilla or a taco along with other vegetables and sauces, trusts me! It actually tastes quite delicious. I simply add sliced onions and bell peppers. But you can use any combination based on your taste preference. Similarly, you can add them to rolls and sandwiches. Natto soybeans make a very healthy breakfast, so serving them directly with a slice of toasted bacon is also a great combination. It is also a great carry along food, preserve them in a small jar, based on the size of your serving and then enjoy at any stop. If can talk for hours on the nutritional significance and value of nicely produced natto soybeans. But without putting you into trouble of reading so much detail, I would like to sum up all of its health benefits under some important pointers. 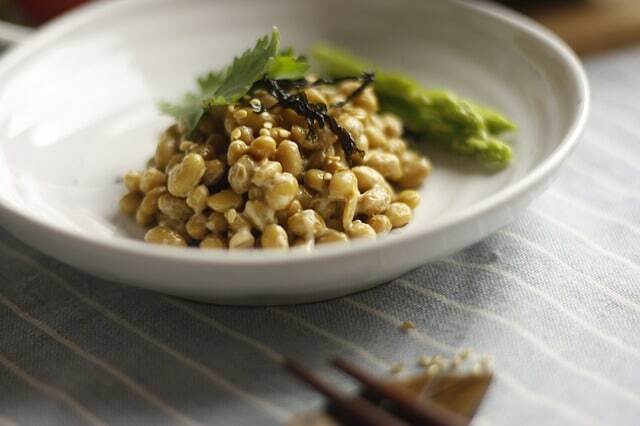 I am writing this section especially to answer all the queries about the health advantages of Japanese natto and to put an end to the skepticism people have regarding natto as a food. It is not a mixture of spoiled beans but rather a very nutritious combination of nutrients. Rich In nutrients: The most obvious benefit is that is packed with so many nutrients. A single serving or 100 grams of natto can provide you as many as 212 calories, whereas it offers 11 grams of fats and 14 grams of carbohydrates. It has 5 grams of fibers and 18 grams of proteins. Other than these macros, it is full of iron, manganese, vitamin K, magnesium and copper. Perhaps it is a full energy meal and booster. Along with the nutrients the beans contain a number of antioxidants, folate, vitamin B6 and pantothenic acid. Due to the fermentation process, these soybeans promote the production of the probiotic inside the body by creating such an optimal environment. Improves the Digestion: There are trillions of microbes in our gut which aids the process of digestion. There are several nutrients which cannot be directly processed by our body, and these microorganisms play a significant part in their digestion. A healthy gut flora requires the optimal conditions which could aid the growth of microbes living inside. Natto is a product of bacterial growth, and once it gets to the stomach, those healthy bacteria and the fermented beans nourish our biome.Natto is a great source of probiotics, and those probiotics defend the body against all the harmful bacteria and toxins. Its anti-oxidants removes all the radicals and toxins from the guts. According to researchers, probiotic is helpful in reducing the problems of diarrhea, bloating, gas and constipation. Due to its high fiber content, natto is also good to reduce inflammation in the gut lining and allows easy bowel movements. There is a stark difference when you compare natto with other probiotic-rich meals. A single gram of organic natto contains as many probiotics as the whole serving of other fermented food. Stronger Bones: It seems strange to associate a food like natto with the health of our bones. But it is true to the core that natto is a great source of calcium. A single serving of it contains as many as 22 percents of calcium. 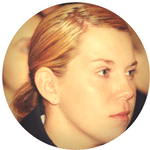 Imagine how good it can be for growing kids and young adults. Along with calcium, natto is also a source of vitamins that aid the absorption of calcium in the bones or regulates this process. It is rich in vitamin k2, which is essential in building bones and providing calcium to the bones. It Promotes Heart Health: heart health has become the concern of many individual these days, owing to the lifestyle we have today. 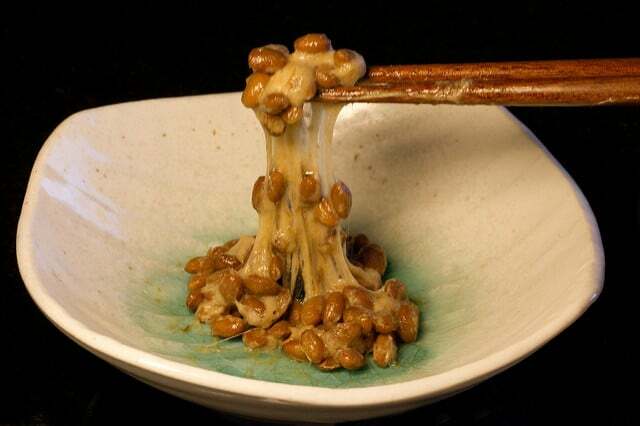 Natto also contributes to improving the heart condition. Good and healthy food is always directly linked with your cardiac output. A food rich in minerals and proteins and low on cholesterol is always a good choice for an improved heart condition. Secondly, natto with its fibers and nutrients, maintains all the routine functions in the body, thus allowing unobstructed blood flow and well-maintained pressure in the vessels. 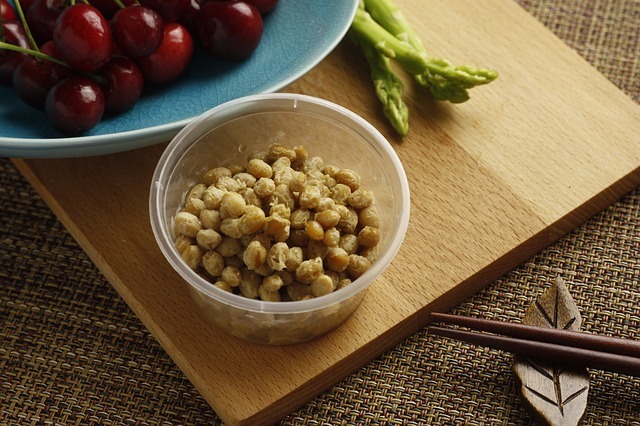 Another very important role natto plays in the body is that it can provide nattokinase. This enzyme is produced in soybeans during the fermentation process, and later when it reaches to our body, it helps to dissolve blood clots. This enzyme is more found in the sticky and slimy part of the natto. Japanese researchers have reported a reduced level of blood pressure in all the natto consumers, as it can activate the enzyme named ACE or angiotensin converting enzymes which helps to regulate the blood pressure. The nattokinase enzyme itself it reduces the blood pressure by 3 to 5 mmHg. Strengthens the Immune System: With that many probiotics, special enzymes and antioxidants, it is obvious to conclude that natto helps to strengthen our immune system. It naturally destroys all the harmful microbes and boosts the production of antibodies. Enjoy the super healthy and nutritious natto at home and don’t forget to give you interesting feedback about this unique Japanese delight. 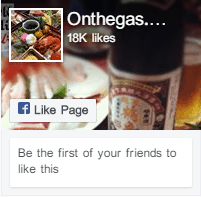 I always get excited when I receive people’s opinion about the variety of recipes I share.